As the snow starts falling, and the days pass... we realize that 2015 is almost here. Lets take a quick look ahead and what some of the major players are predicting and what it means for someone looking to make a move in the new year. - Increase of 1.4 per cent for sales price of new construction single detached homes. - In 2014 sellers were optimistic and overpriced properties, which pushed days on market. This will impact 2015 with continued increased DOM and more selection for buyers, but will balance out with fewer housing starts. Overall, while we will not see any crazy gains in price, we will see a slow and easy gain through 2015. More properties are and will be on the market, so sellers need to be more accurate with pricing (NOT OVERPRICED), and buyers will be able to have more selection. Again... Note that CMHC says there will be more listings, and fewer sales - it is more important than ever to have your property priced right, and marketed to its full potential! Click here for the full CMHC 2015 Ottawa Prediction report. 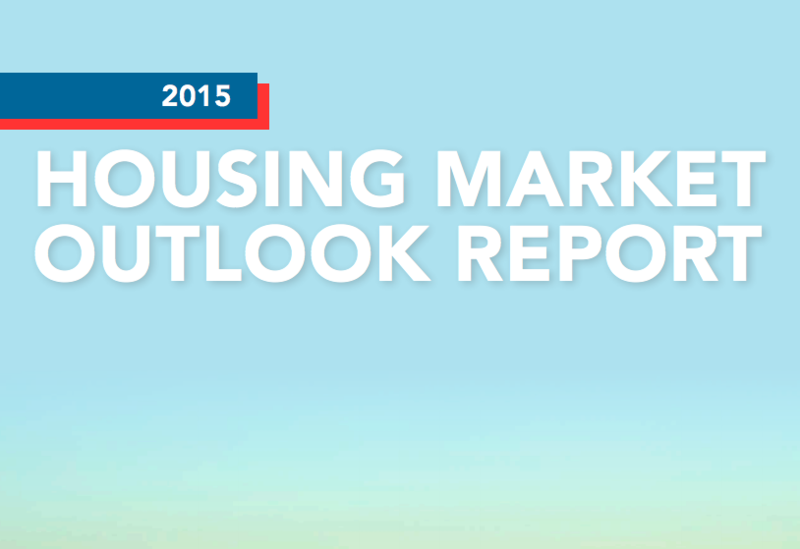 Click here for the full RE/MAX 2015 Housing Market Outlook Report. If you have any questions about buying, selling, or the market in general - I would love to chat!